Website that I oversaw while at my time at Boston College. 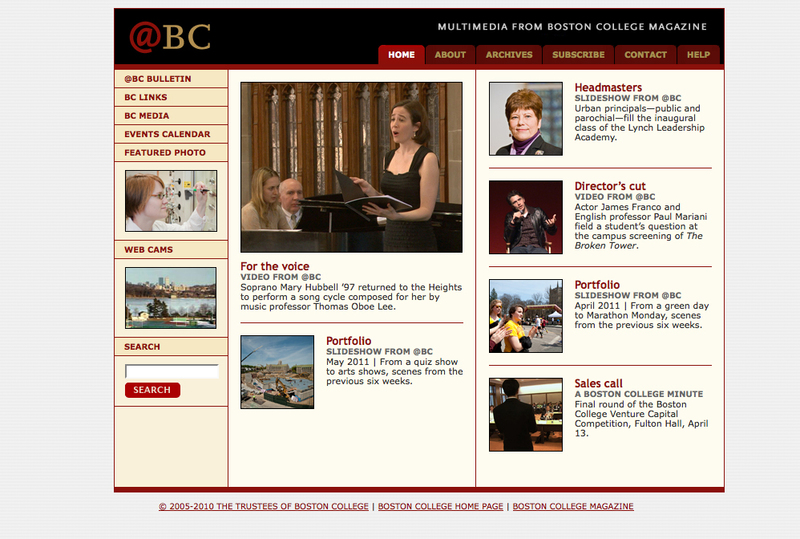 It was managed using Wordpress; @BC utilized some of more innovative cross browser compliant technology for it's time. Included but is not limited to: Shadowbox, Jquery, Flash, JW Player, HD Video, Soundslides, Slideshow pro, Highslide, etc.